A deep sultry purple nail varnish. Stadium Street Purple Nail Polish: an opaque, deep dusky purple creme 9-Free more natural nail polish. Don't forget your Prestige Base Coat Nail Polish, painted directly onto nails cleaned of any oils, old nail polish or other impurities. Once dry, thinly apply your purple nail polish in single strokes, from cuticles to nail tips, making sure to sweep this brush along the very edge of the tip, to lock in and seal your colour. For a fuller body, you might want to repeat for the colour with a second coat, before finishing with your Prestige Top Coat Nail Polish, to give a more chip-free nail polish with a salon shine. 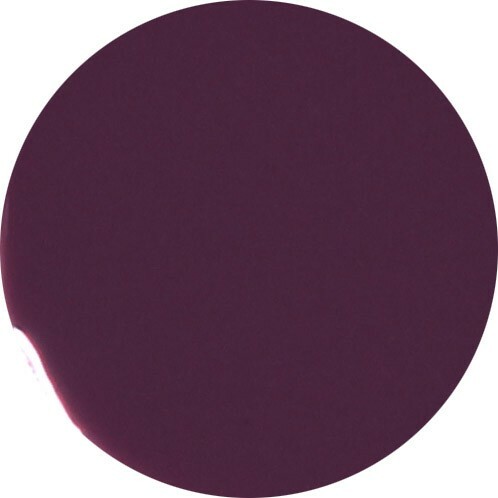 Enjoy Stadium Street, a truly beautiful, more natural purple nail polish! You may also like Lavender Court, which is a smokey mulberry colour, or Blackcurrant Vamp or Damson Delight, which are both purple and plum shades, but the latter has a deep lustrous plum red tincture to this almost black red glossy varnish, which make really lovely complimentary nail varnish sets. Contains 12ml of luxury 9 free more natural deep dusky purple nail polish.